As a musician, I put a lot of thought into choosing hymns for sacrament meeting when I’ve had that responsibility. I try to make each sacrament meeting a mix of familiar and less familiar hymns. I save the long hymns for the opening and the short ones for closing. If there’s an intermediate hymn, I pick a lively one and make everyone stand up (1). I make sure the chosen hymns haven’t been sung too recently to give variety. I pick hymns that fit the theme of the meeting, and not always the obvious ones (2). I change up which verses are sung, picking only two verses or even just the odd verses (3), or actually singing the extra verses below the music (4). Why do I do this? I want the congregation to not just go through the motions, but to really think about the music and the messages there. I love it when I can see emotions in people’s faces when something in the hymn clicks for them, and often they reflect that emotion back on me (5). But doing something different for the sacrament hymn (the hymn played while the priests break up the bread just before the emblems are passed to the congregation) is hard. The sacrament section (#169–197) is one of the most well-trodden parts of our 1985 hymnbook, because it only takes about 6 months to cycle through all of them (and I don’t think most choristers keep track to make sure they hit them all, like I do). #65 “Come, All Ye Saints Who Dwell on Earth” – Takes us from the Savior’s sacrifice to eternity—and beyond. #86 “How Great Thou Art” – I might not pick it myself because of how melodramatic it is, but it fits the criteria. I may have actually heard this as a sacrament hymn, once. #103 “Precious Savior, Dear Redeemer” – This may be a bit of a stretch, but it does hint at the sacrifice of the Savior and his role as our Redeemer, which came about because of His sacrifice. #113 “Our Savior’s Love” – Really a good sacrament hymn. #135 “My Redeemer Lives” – Talks about the Savior’s sacrifice, resurrection, and the spirit. #146 “Gently Raise the Sacred Strain” – Even listed in the hymnbook topical guide under “sacrament,” though hardly ever sung for it. #234 “Jesus, Mighty King in Zion” – This one talks about the Savior’s sacrifice and baptism, which is strangely not a topic discussed much in sacrament hymns, despite the emphasis we make in the church to tie baptismal covenants and the sacrament. So go have fun opening people’s minds to new musical possibilities. Or if you don’t pick the hymns in your ward, when your ward music director or chorister picks one of these for a sacrament hymn, give them a hug for me. We need more people like them. (1) And conduct it up to tempo. (2) I also get angry when the bishopric changes the sacrament meeting topic without telling me—it’s the worst. 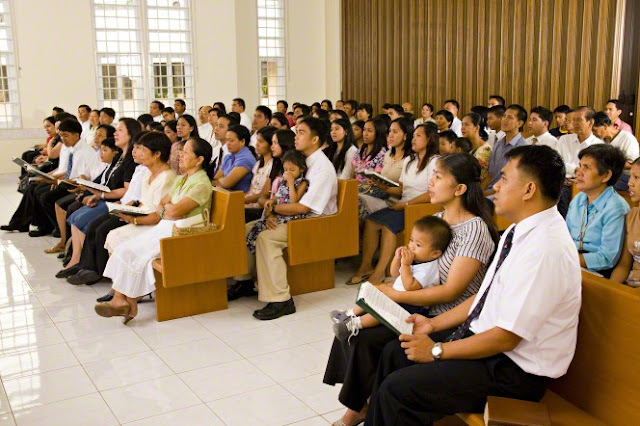 By the way, as the hymnbook says, not everything in the hymnbook should be sung in sacrament meeting. I take this to specifically refer to #255, the battle hymn anthem “Carry On,” which I always hear as “Carrion,” but there are other hymns heard often in sacrament meeting I would put in this category. (4) It’s really fun to see people’s reactions as they put their hymnbooks down and look confused when the music keeps going. Also, a pet peeve: when we sing only verses 1-4 of “How Great the Wisdom and the Love,” when the indications clearly say that verses “1, 2, 5, and 6 are especially appropriate for the sacrament.” I really don’t care what verses are sung as long as I can tell someone has thought about it a little. (5) Yes, if a chorister convinces their congregation that what the chorister is doing is important, the congregation will actually watch the chorister. (6) Sorry, no “Battle Hymn of the Republic,” even though it fits these guidelines. Peter Shirts has directed ward and stake choirs and has mastered the art of suggestion when he's not directing the church choir he's currently in. While at BYU, he co-founded an ensemble that played Klezmer (Eastern European Jewish music) and enjoyed teaching Mormons how to dance at Jewish weddings. After receiving 2.5 degrees in music and one degree in library science, he is currently gainfully employed as a music and audiovisual librarian in Honolulu, Hawaii, where he lives with his wife. He blogs weekly about musical things at www.signifyingsoundandfury.com. Image credit: lds.org (used with permission).